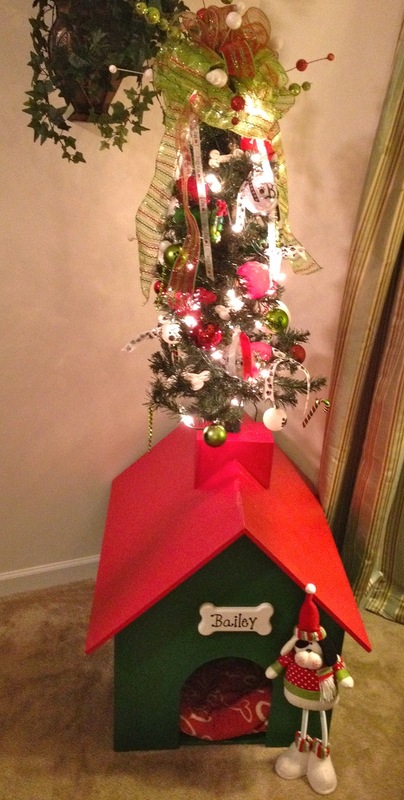 I had seen a Christmas dog house when I was shopping about 3 years ago. I loved it but the price not so much!! Well I told Jarod all about it this year and he told me he would make it for me. Jarod did such a great job!! He added a little chimney for the tree to come out of and everything.. We found the cut out bone at A.C Moore and I just painted it white and wrote "Bailey" with a black paint pen. During the painting process. 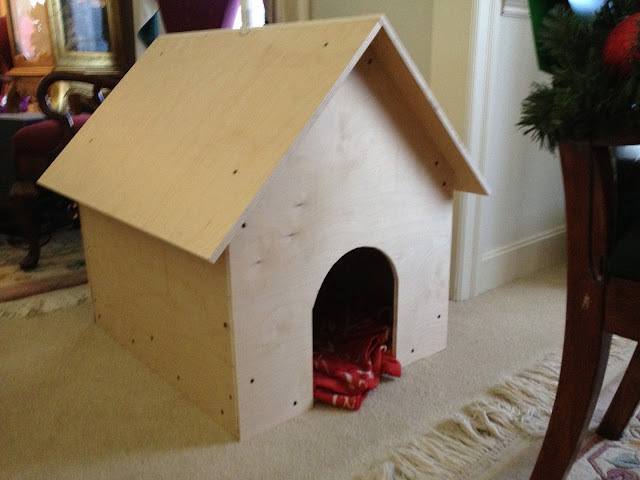 We filled the screw holes with wood putty and sanded it down real good. 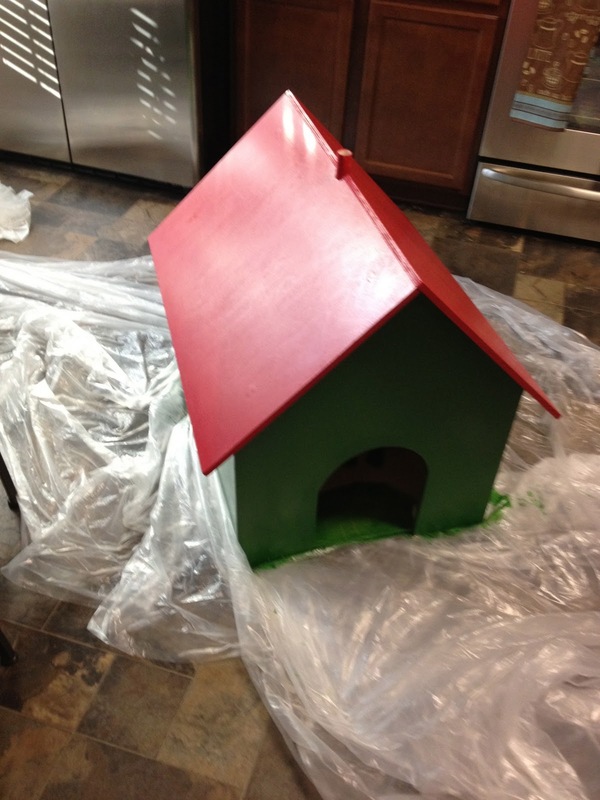 Then put about 2-3 coats of red and green paint on the house.. I actually just used craft paint you get at Walmart. I got 2 large red and 2 large green bottles.. 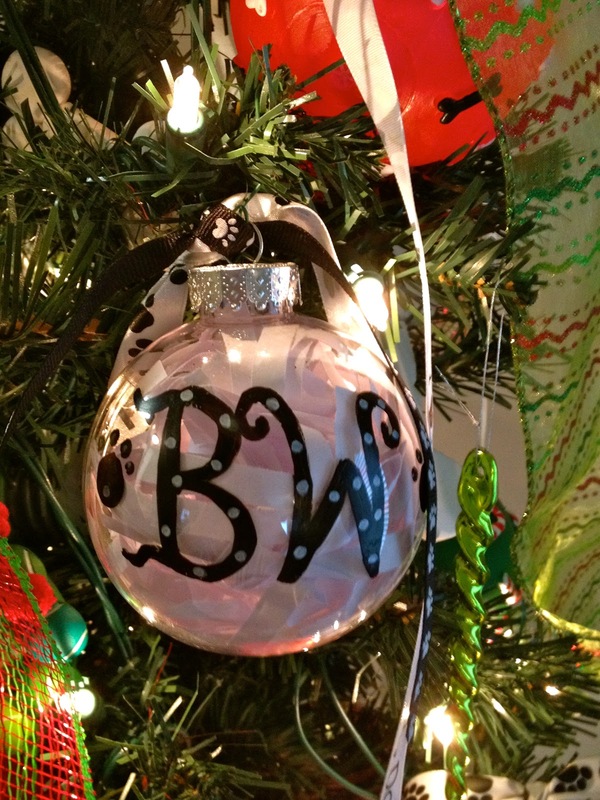 This worked great and costs a lot less than having to buy 2 pints from Lowes or some where that mixes paint for you. 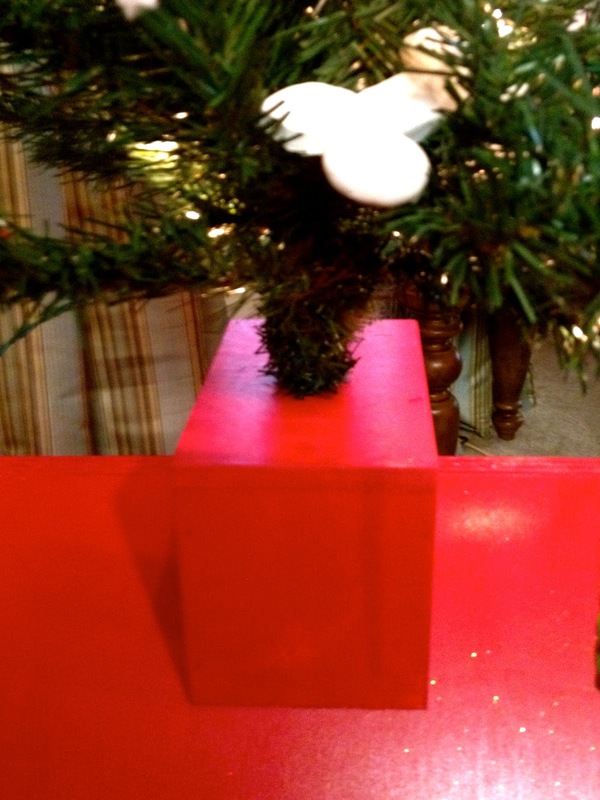 Here is the chimney Jarod made. The chimney is hiding the PVC pipe that is running down into the house.. The PVC pipe actually stops right near the top.. Jarod did it this way so if Bailey happened to want to get into the dog house he could. 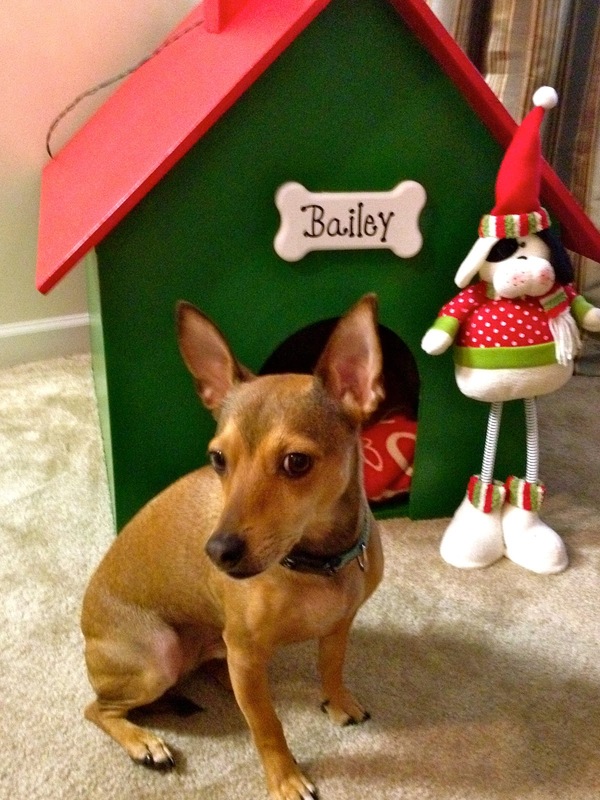 Bailey showing off his Christmas house and tree! 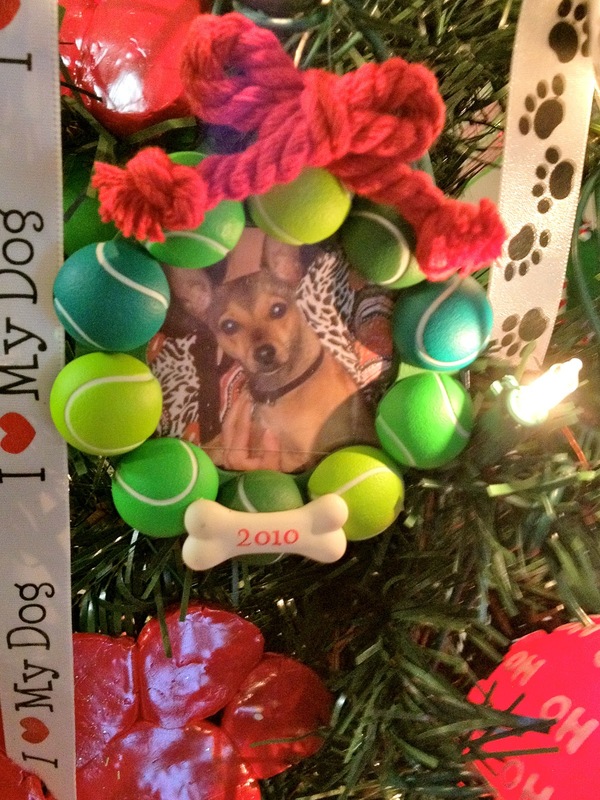 Oh I got the stuffed Christmas dog from a local pottery and the blanket from Petsmart last year. I decided that the tree needed mostly dog ornaments. 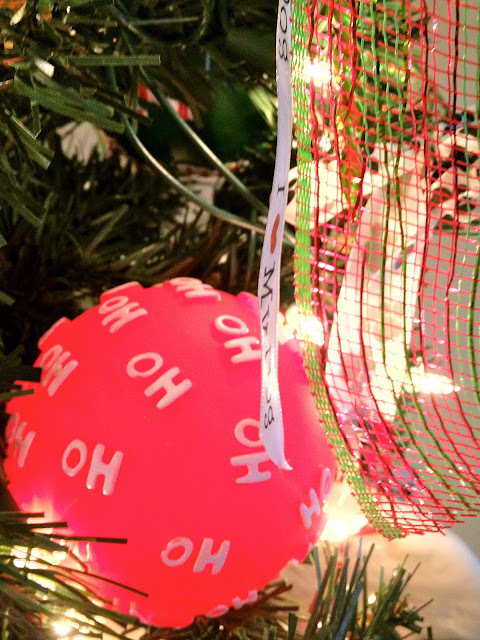 I bought some ornaments for his tree, made some and decorated some I already had. Bailey's Hallmark ornament from last year. Every year since we adopted Bailey from the animal shelter, I have made him a little ornament and put his name on it or initials and the year.. These are some ornaments I made out of clay. 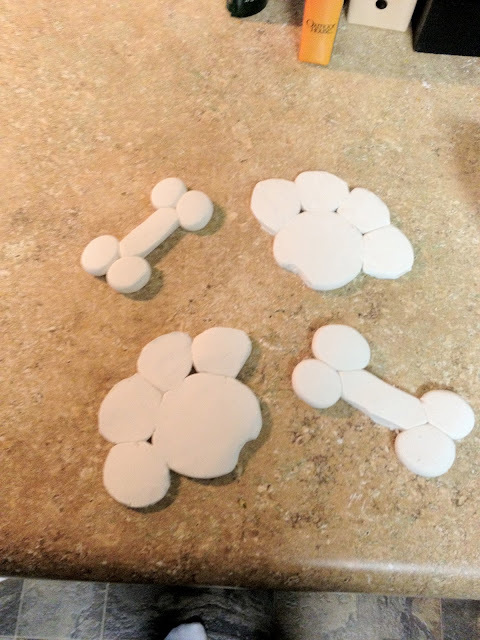 I just shaped them and baked them according to the instructions on the clay package. I just made about 5 or 6 paws and bone.. 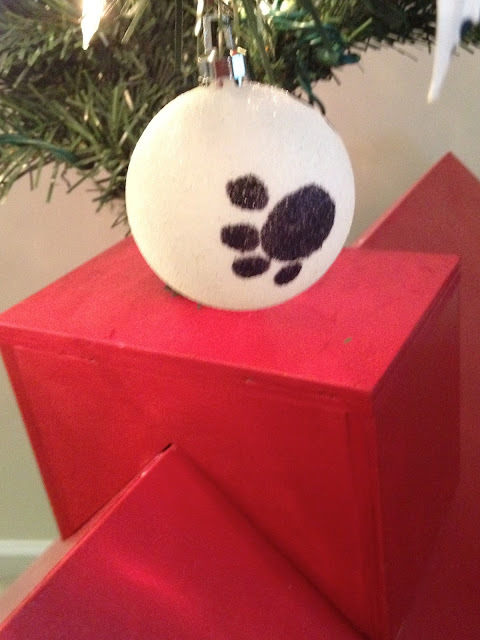 I painted the paws red and left the bones just the color of the clay. Took these with my phone. 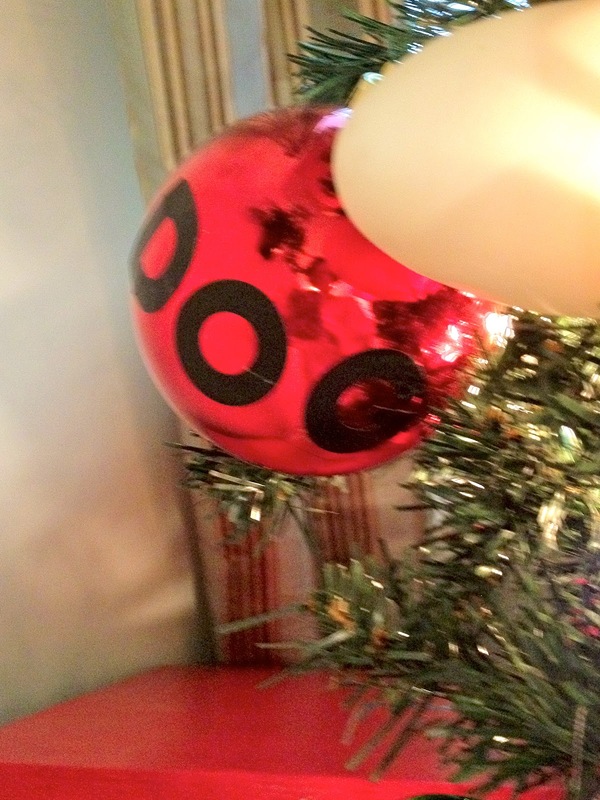 I had to get a little creative with ornaments for his tree. 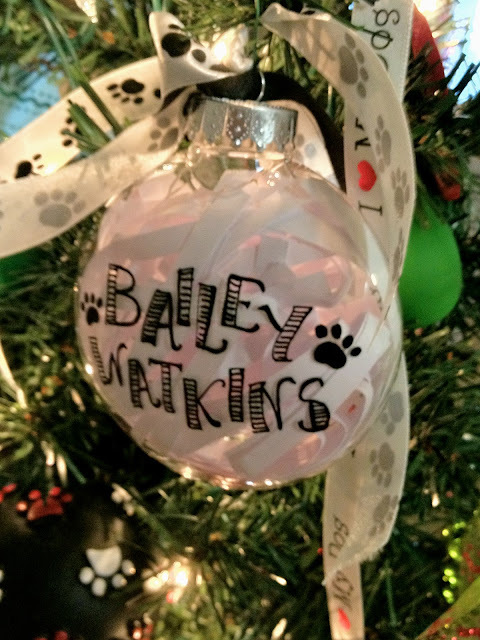 I would look around all the stores for dog ornaments and found just a few and they would be around 8 dollars a piece (umm not happening).. 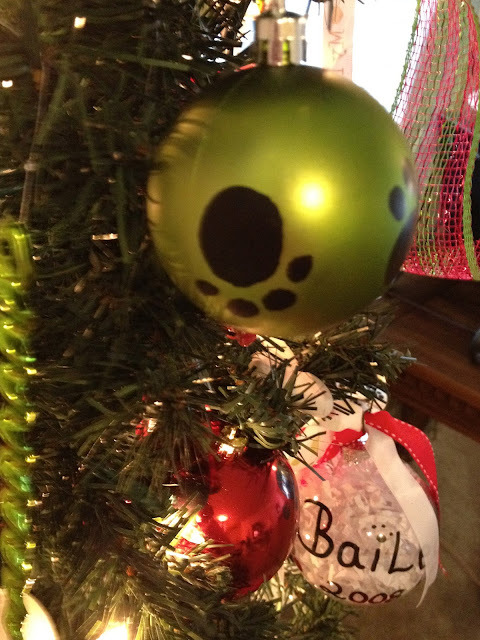 So I took some regular shatter-proof balls I got from Walmart and took a paint pen and painted dog paws on the different ornaments.. I also had some letter stickers that I decorated some of the larger ornaments with.